2019 is well and truly upon us, and as Blue Monday subsides and the inevitably long, dark winter beckons, many of us can be forgiven for feeling apprehensive about what it may bring. Fortunately, for those of us who want to experience the vibrancy of Manchester’s creativity without leaving the warmth of our homes for extended periods, the games industry is here to help. First and foremost amongst those experiences is White Paper Games hotly anticipated game The Occupation. The game, which is set in a fictionalised version of 1980s Manchester called Turing, is a fixed-time journalistic thriller similar, at least in structure, to Groundhog Day, presenting you with a fixed wedge of space-time in which you are the lone variable who decides the outcome of unfolding events. The game was originally scheduled for release in 2018 but has now been given a release date of March the 5th. There are also a number of other games set to release from Manchester’s budding indie scene. Perhaps most intriguing amongst these is Broken Bear Games’ and No More Robot’s Family Man, a cheery sounding but decidedly morbid RPG that, according to the developers, “asks the question: When pushed to the limits of your own morality, how far would you go for the sake of your family?” It is scheduled for release in early 2019. There are also a number of other indies on the way which are either being developed in Manchester or published by companies in Manchester or nearby. Amongst these are Doggo, which is being made in the faraway land of Warrington, Hyperbrawl Tournament, being made by Liverpool’s Milky Tea, and Tails of Iron, developed by Manchester’s own Odd Bug Studios, announced earlier this week. Alongside games, a number of events are to be hosted in Manchester in 2019. The first major one on the bill is Manchester Gamers Unite’s launch party. MGU is a non-profit independent gaming and networking organisation, aiming to bring together the gaming community of Manchester and the North-West. Their launch party, which will be held on the 26th of March and is open to anyone with a ticket, will feature showcases from a number of developers including Ghost Town Games, the team responsible for Overcooked. In May, we will also see the return of PlayExpo Manchester, which has been confirmed and scheduled to run on the 4th and 5th. PlayExpo has a bewildering amount to offer video game fans, including (but not limited to) Modern Gaming, Indie, Retro, Arcade, Pinball, Minecraft, VR, LAN, Guests, Merchandise, Cosplay, Tournaments, Education, Communities, and Tabletop Gaming. In April, the University of Manchester’s very own HackSoc Game Dev Society will be hosting their first game jam, which they hope they will be the first of many. A game jam, for those unfamiliar, is a kind of development battle royale in which a number of small game development teams compete in an intense 24+ hour period to make the best game from the ground up. And for those who do want to go outside, Everyone Can, a Sale-based charity who help the disabled get access to video games, are doing a charity marathon to help raise money. The run will be on the 19th of May. Finally — for now — and perhaps most intriguingly, journalist Jack Yarwood is currently filming a documentary about games development in the North-West. 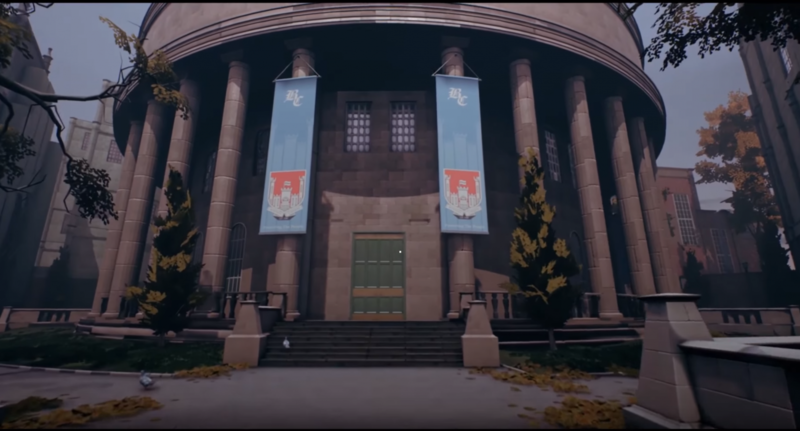 Tri-Heart Interactive and Odd Bug Studios have been confirmed as being in the documentary, while other local developers will also be in the film. Jack has confirmed to The Mancunion that the film will be launching around the beginning of March, with filming set to conclude in mid-February. This list, of course, is limited in its exhaustiveness. Many games and events will no doubt crop up as 2019 progresses, and the particularly empty looking latter half will no doubt be populated by the time winter subsides. The Mancunion will keep you updated on all such developments, as well as covering all of the above events, games, and much more.